ID Card Designer Software for Mac design different types of ID Cards in various shapes and sizes using image designing objects including Line, Ellipse, Pencil, Rectangle, Barcode, Text, Picture, Arc, Star and Triangle. Software provides option to print designed ID Cards using advanced print setting option. Now Mac users can easily design multiple ID Cards along with different barcode value and text. ID card creator software for Mac designs printable customized ID cards for students, employees and other people. Generate multiple ID cards with different barcode value and text using Batch Processing Series option. Design ID cards in various shapes including rectangle, ellipse and rounded rectangle. Software provides Camera setting to capture image for your ID Card. Software has facility to design double sided (Front and Back) id cards. Software is having E-mail setting option to send designed ID Card to the specified email address. Facility to print designed ID cards using advanced flexible print settings. Image Cropping Tool to crop single as well as multiple images for id cards. 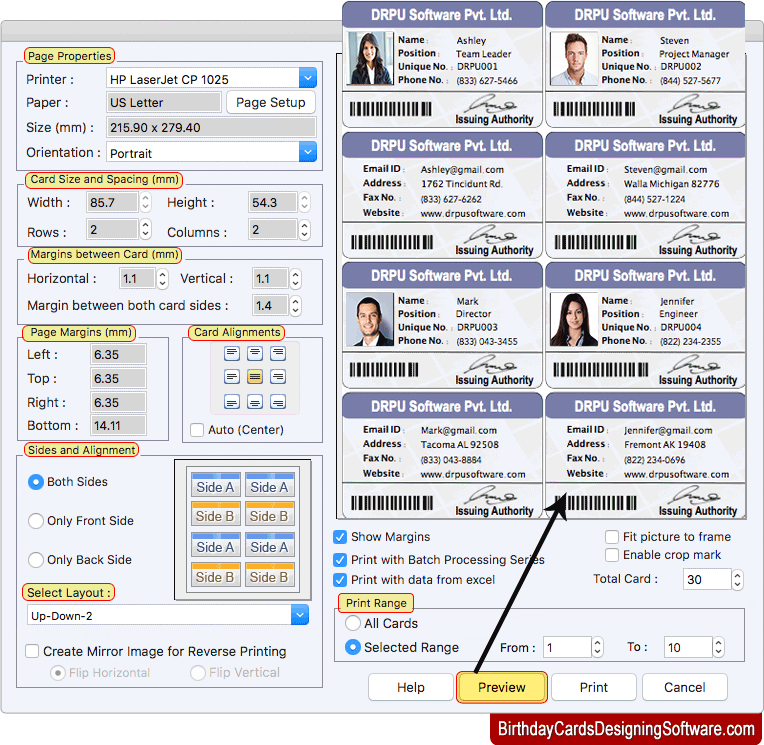 Software is having pre-defined templates to design professional looking ID cards. Software provides option to export designed ID Cards in various file formats such as JPEG, TIFF, GIF, PNG, and PDF.